The internet lit up with rumors and tweets that the world’s last typewriter factory had closed. Though obituary now appears a bit premature, it's another reminder of how much the world of the writer is changing. Most writers ditched their typewriters years ago, but when it comes time to sell books, many are finding old media needs new media. 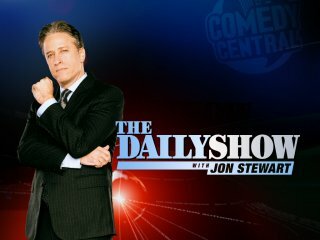 Now once they write their books, they may need to write multimedia marketing campaigns…or they could just get booked on The Daily Show with Jon Stewart. David Monagan moved to from Connecticut to Ireland about a decade ago and wryly wrote about the changes he saw and experienced in Ireland Unhinged, published on St. Patrick’s Day. He returned stateside for a frantic fortnight of readings, signings and interviews. He didn’t sit down with Jon Stewart, but getting into this extended on-air conversation with WNYC’s influential Leonard Lopate is a media opportunity sought by most serious authors. MEDIA PINGS: Speaking of Irish American writers, the first general membership meeting of the Irish American Writers and Artists will be held Mon., May 2 at 6pm at the Irish Consulate, 345 Park Ave, New York, NY. But this event is for members only and you must RSVP in order to clear security, so if you’d like to join, please go to the IAW&A website.